The Kremlin press secretary has said he cannot understand a survey that shows that Russians struggle to afford new shoes. Dmitry Peskov was commenting on a report by state statistics agency Rosstat. It found that a third of households polled could not afford more than two pairs of shoes per person, per year. 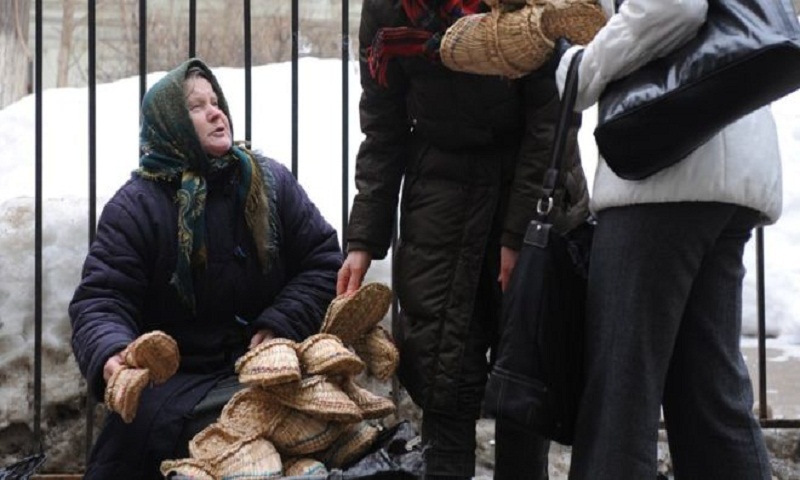 The data also revealed that 80% of Russian families found it difficult to make ends meet. The survey actually indicates a slight improvement in some areas of family finances. But its stark headline figures - and Mr Peskov's annoyance - have captured attention, suggesting that officials are out of touch with everyday reality. Asked to comment on the findings, President Vladimir Putin's spokesman sighed deeply before saying that the Kremlin "struggled" to understand the data. "Why shoes? Why one third? Where are these figures from?" Mr Peskov asked, adding that he would be "grateful" for an explanation from Rosstat. The details are clearly available online, alongside the agency's "observation of living standards" survey, conducted every two years. The latest figures are from a poll conducted in September 2018 which covers some 60,000 homes across the Russian Federation. Amongst its findings, the survey reveals that close to half of all households cannot run to a week's annual holiday, even staying with friends or family. About 10% of those questioned could not afford to eat meat or fish three times a week, and 12.6% of homes either shared a communal toilet or had an outside loo. In rural Russia, where many village homes still have an outhouse, that figure is above 38%. The Kremlin's irritation with the statistics partly stems from an awareness that economic difficulties now present a significant challenge to President Putin. After overseeing a period of economic growth during his first terms in office, fuelled by high oil prices, Mr Putin's approval rating has fallen as Russian families live through a fifth straight year of shrinking incomes. That daily reality lies behind the latest polling data, including the fact that 52.9% households can't cope with unexpected expenses - including house repairs or medical costs. In 2016, when the last survey was conducted, that figure was 44.2%. Other statistics have improved slightly. Two years ago, 15% of families had no indoor toilet and 54% were unable to afford a holiday. But the harsh facts still jar with the positive spin pumped into Russian kitchens by state television channels, and with the president's own pledge to slash poverty in half by 2024. Talk of difficulty buying shoes is also a long way from the designer boots that Mr Putin's spokesman himself has been photographed in; their cost online is close to double the monthly minimum wage.